Metal-halide perovskite solar cells have reached a high level of efficiency (~23%) over a short period of time, and are cheap to manufacture. However, problem areas remain surrounding the material’s stability under standard environmental conditions (e.g., humidity, oxygen and temperature levels). In a perspective recently published in Joule, a University of Maryland research team reviewed recent literature and highlighted the recovery ability of these materials depending on various environmental stressors. The team – led by Materials Science and Engineering (MSE) Assistant Professor, Marina Leite – identifies the potential role of machine learning (ML) techniques to accelerate the commercialization of these materials, and provide a starting framework. John Howard, an MSE gradate research assistant, and Elizabeth Tennyson (MSE Ph.D. ’18, currently a postdoctoral researcher at the University of Cambridge) served as first authors on the resulting research paper. Indeed, machine learning provides a viable way of evaluating the number of combinations between environmental conditions, and building smart monitoring networks, which are unique to this material. When comparing energy technology, cost is often the deciding factor. Once these stability issues are solved, perovskites can provide a route towards more efficient technology via solar applications. 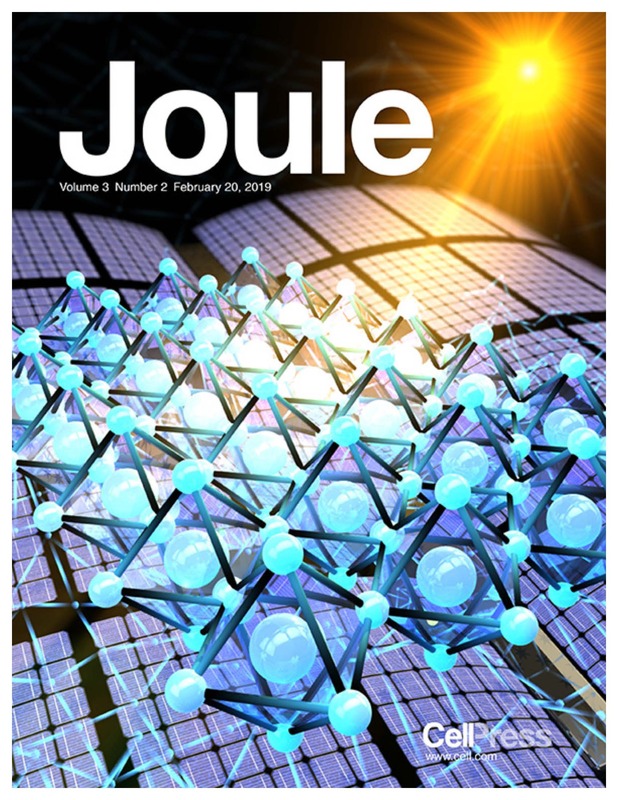 This research - highlighted on the cover of the February issue of JOULE - follows a study that was published in the Journal of Physical Chemical Letters.